Yes, we know, writing a wedding card is not the biggest problem when it comes to wedding issues. There is also a wedding gift, wedding speech, wedding attire, etc. However, at some point, writing the wedding card can be as exhausting as choosing the perfect gift for a happy couple. You have already bought the prettiest wedding card, you have picked out your favorite pen, and you are aimed to write something brilliant for the closest friends, relatives, your acquaintances, or just soon-to-be-married couple. What is in our head at that time? Tumbleweeds. Professional online essay writer to the rescue! We have some great ideas for your wedding card wishes. A Card or an Email? 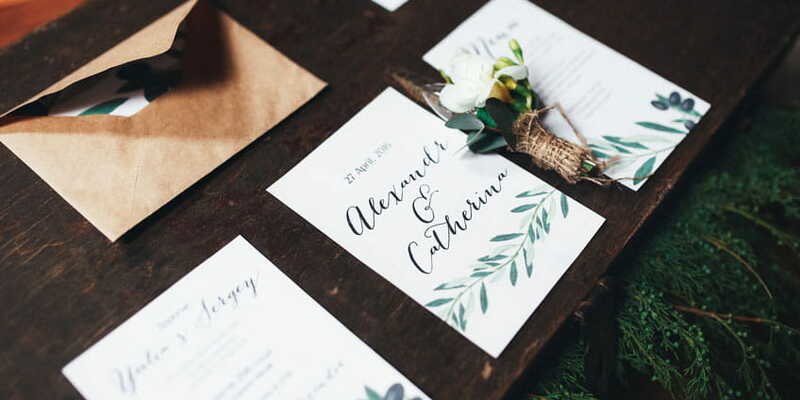 If we are talking about traditional wedding guest etiquette, there are two ways to send the wedding wishes to the engaged or newly married couple – to bring your card to the wedding reception or mail it directly to the bride and groom. Even if the wedding is going to be small and you were not invited to attend one, it is always a great idea to send your congratulations via email to let the couple know you are really happy for them. 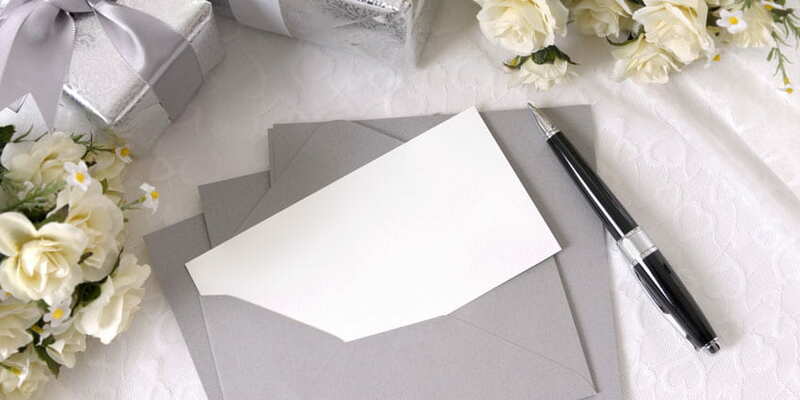 To tell the truth, if you are doubting whether to send an email with wedding wishes or to send a hand-made card, the second option is the best one. Who Are You Going to Write the Wedding Card To? Ask this question – how long and how well do you know the soon-to-be-married couple? You are going to choose the format of the wedding wishes and the wedding card itself, depending on the answer. If you are lifelong friends with the couple, you may want your wedding card to be more personal and heartfelt. In the wedding card to your closest friends, sister, aunt, or mother (yeah, it happens a lot), you can include memories, experiences, quotes or phrases that have special meaning to both of you. You can even add a funny story (no longer than a couple of sentences) to make the groom or the bride laugh and cry at the same time. What Is the Recipient’s Personality? To avoid potentially embarrassing situations and write the appropriate wedding card, you need to know their personality at least a little bit (we can tell you that from our own experience). You do not want to write in the wedding card to the person who does not understand jokes “Look, I know the telephone of a good therapy if either of you changes your mind on the second day. If not, have an amazing wedding!” A piece of advice such as “if you love each other, do not hang wallpaper together” is a great idea for a carefree couple. Once again, if they are more reserved, a formal wedding wish is the way to go. Are You Going to Attend the Wedding? If you are invited to the ceremony but won’t be able to attend it, it is better to add “wish I could be there” to your message. It will let the groom and bride know your thoughts are with them on their special day. Do not explain on the card the reason why you can’t be there, focus on them, not yourself. Where to Start and How to Finish the Wedding Card? To wow your friends with a great wedding card, you need to be honest. It is up to you whether to be light, funny, sentimental, or sweet in your wishes. It is okay just to say how happy you are to know that they are together. However, whether you are about to write just two words or two paragraphs, you should start with something. “Congratulations” - Banality or Classic? Is “Congratulations!” good enough to open up your wedding card? Let us just say that it is okay. However, if you want to sound more than just “okay” and want to say “congrats” in a fresh new way, it is better to avoid “Congratulations, you two!” This phrase (or the same meaning) is probably written on the front page of the wedding card. So, you can start your writing with simple yet memorable “You two are the luckiest persons I have ever known. You know why? Because if you are lucky enough, you will love someone, and if you are the luckiest person on Earth, this someone will love you back.” Just make them smile. A perfect wedding card is full of sentimental value and crafted from your heart. So, use the next few lines to add a wish which is tailored to the couple to create a personalized wedding wish. It all comes down to one thing – wish them well in unordinary form. Here are some examples for you. “I have always known that a great marriage starts with a great cocktail” (if the newly married met each other at the bar). The first piece of advice that I would give to someone who is going to be writing special words in a wedding card is try to limit yourself to 4-5 sentences. It does not need to be pages long. Another way that you can go about writing a wedding card is to not reinvent the wheel. There are so many different sets of wishes. You can look at those and glean the things that make sense for you. Save a line in your wedding card to express the gratitude to the bride and groom for being a part of their special day. Finally, end with the warm wishes and a signature. Have you ever heard the phrase “It is not how big your house is, it is how happy your home is”? The same thing with writing the congrats for the couple. It is not how big your wedding card is or how beautiful your words are, it is how precious they are for a person.